Former gubernatorial candidate Debra Medina, running as a Republican this year for comptroller, said wealthy donors are encouraging her to run instead for governor — as an independent. Former Republican gubernatorial candidate Debra Medina could end up running again for the state's highest office, this time as an independent, she said Friday afternoon. Medina, who has been exploring a race for comptroller for several months, told the Tribune earlier this month that she is having trouble raising the amount of money she thinks is necessary to mount a competitive campaign for that office. She cited a particular lack of interest from wealthy campaign donors who are typically pivotal in financing successful statewide races in Texas. 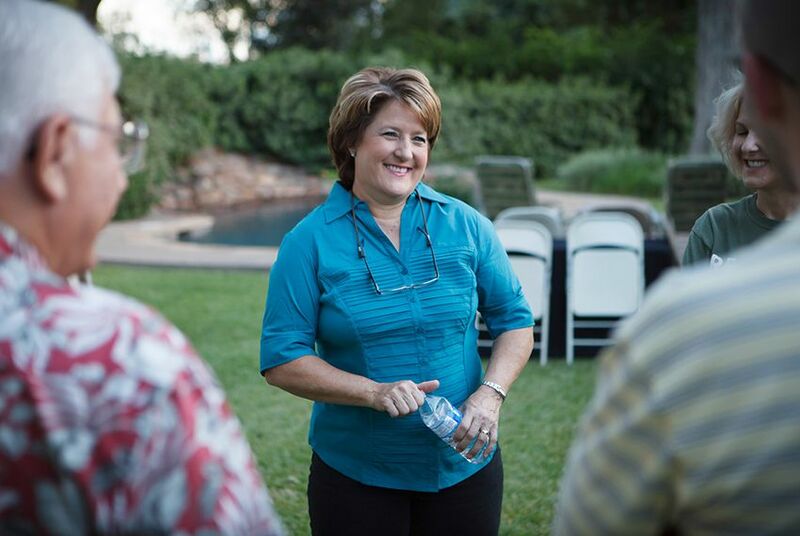 At the same time, in a development first reported by the Quorum Report, she said she has been hearing from potential donors interested in seeing her run as an independent for governor. Collectively, she has received pledges totaling millions of dollars, she said, and that has her wondering whether she ought to switch from one race to the other. “I'm looking at the best opportunity to move these policy ideas that I have been working on: private property, state sovereignty, reform tax policy in Texas,” Medina said. When Medina ran for governor in 2010, she drew strong interest from Tea Party activists but ultimately came in third in the Republican primary with almost 19 percent. Gov. Rick Perry drew 51 percent, avoiding a runoff with either Medina or Kay Bailey Hutchison, then a U.S. senator, who attracted 31 percent. Throughout the campaign, critics accused Medina of setting herself up to be a spoiler in the race — a charge she could face again by running as an independent in 2014. Attorney General Greg Abbott is widely expected to win next year’s Republican primary in the open seat for governor. Democratic state Sen. Wendy Davis of Fort Worth is expected to launch a gubernatorial campaign next week, setting the stage for a race that is drawing intense national interest. Supporters of both candidates are likely to invest tens of millions of dollars in the race. Medina said she would rather run for comptroller as a Republican than for governor as an independent. She feels the comptroller post is better suited to promoting the economic issues she is passionate about, such as abolishing the property tax. But she said she has had difficulty convincing wealthy conservatives that that race is worth investing in. “I'm doing everything I can to assemble the resources necessary for a viable, credible campaign for comptroller,” Medina said. Noting that candidates must file for next year’s primaries by December, she added, “If it comes to November and the money still hasn't come in, I'll have to pull my team in and say ‘ok, are these other offers real and if they are, is this the path I should move down?’"